A few weeks ago I turned 35. 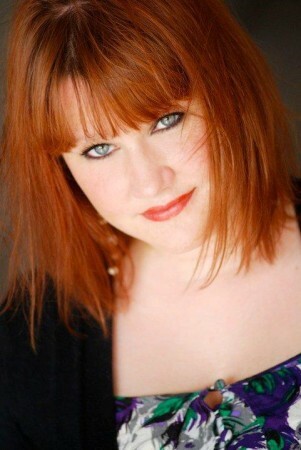 The funny thing is… I don’t feel 35. 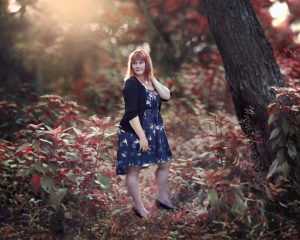 I still see myself as the vibrant, young, feverous girl I saw in the mirror ten years ago. Just rounder. And motherly. Let things go. Do not harbor anger, sadness, disappointment, or frustration. Releasing your emotions at the end of every day brings your soul full circle, allows you to revisit your true passions, and hone in on your intuitions. Lower your expectations. Let’s face it: the world is not perfect, and neither are we. There is no possible way we can be all things to all people at all times. Be alone. Learn to spend time with yourself. Love the nuances that make you special and unique; exemplify those things that make you who you are. One day, you will know what it means to love someone else more than you can ever imagine. Until that day, love you. Have fun. Feel the breeze in your hair and the fresh airs surround you. Don’t make things so complicated all the time. You cannot plan your life. Period. Keep going. When your life is so overwhelmed with activity that you cannot fathom to lift your head in the morning, think of the outcome. It is worth it. It is all worth it. Keep doing. Infatuation and lust are not love. Feel your actions. When your mind, your heart, and gut all agree, it is the right thing to do. Do not hesitate. Listen to yourself, and just do it. You are the most amazing woman you will ever know. You can do anything you put your mind to. You will feel the lowest lows and the highest highs, and still not feel satisfied until you realize that you are your own best friend and your own worst enemy. You can accomplish everything. In addition, I would tell my 25-year-old self to start drinking better wine, and because my 25-year-old palate is not my 35-year-old palate, I would start with a 2010 La Scolca Gavi Bianco Secco. Because Piedmont’s La Scolca was the first producer of quality Gavi, founded in 1919, it finds itself among scores of historic white wine producers in Italy. No one does it better. Gavi hails from Cortese grapes, which have been traditionally blended into sparkling wines. With hand harvesting, cryo maceration, and cold fermentation, the structure and acidity of the fruit is carefully maintained. This results in a beautifully crafted wine that is pale straw in color, with greenish highlights, intense lemon citrus, and flirty aromas. 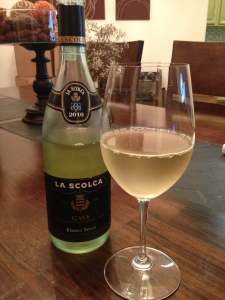 Crisp and refreshing, the 2010 La Scolca Gavi Bianco Secco would quench my thirst at 25 years old, or for that matter, 35 years old. Available at Specs, appropriately, for $35. All in all, I must admit that I am loving life right now. At 35, I have an amazing husband, daughter, and career. And while at times I find myself hitting my head against the wall, I wouldn’t trade it for anything. All of my experiences have created this moment, and I am proud of who and what I have become. Live well. Eat well. Drink well. a rose by any other name… is not rosѐ. So, it has been almost a year since we moved to Houston. We have so far survived living in this city, which for those in the know, can definitely be a challenge. I was just about to claim victory in the relocation department when the humidity hit. No seriously, like 95% humidity. Even at 7 am. It’s miserable, but just like everything else in Houston (traffic, air quality, toll road confusion), you eventually accept the humidity and stop complaining. It’s like almost everything else in my life right now: slowly learning how to let go, swim downstream, and engage in the concept of imperfection. Like I’ve said before, being a working mother is really hard, especially when you have career aspirations, home objectives, extraordinarily high husband expectations, and genuinely loving child hopes. Keeping it together, in a nice rolled up little branded ball, takes a lot of energy. Lately, I have been finding myself waking up at 2 am, with dozens of ideas, emails, blogs, dreams, and pending thoughts flooding my mind. I can’t turn it off. It’s like my soul is screaming for me to do more, be more, live more. And my body is saying… can’t we get some rest already? I am Leaning In as much as possible, to all areas of my life! 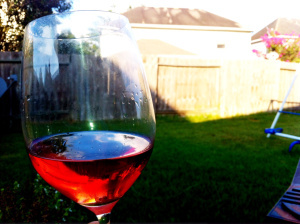 I definitely need to relax, so tonight I am sipping on a confident, cool, refreshing Texas Rosѐ. According to any and all wine blogs, articles, and magazines, this summer is all about Rosѐ. For those who don’t know, Rosѐ may be the oldest type of fashioned wine, with colors ranging from light orange to varied purple, and is produced in almost every wine country in the world. The flush is created from the contact of grape skins during maceration, and the sweetness can range from very dry to massive. Since Rosѐ is a style of winemaking, the grapes that are used in process range from region to region. Rosѐ can be found from old world to new world wineries, and is most notoriously found in France. But with the terrior of Texas being so diverse, and with eight federal viticulture areas, it is no wonder that Texas, too, has found its passion for Rosѐ. 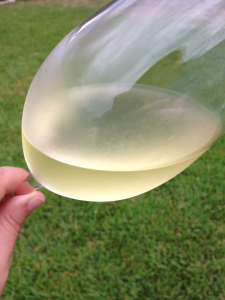 One of the best Rosѐs on the Texas market right now hails from Lubbock’s McPherson Cellars. There is a lot of history surrounding the winemaker, Kim McPherson, who has not only a degree in Food Nutrition Science from Texas Tech, but has completed the enology and viticulture program at UC Davis. He has experience in Napa Valley, but also as a winemaker for Llano and Cap Rock Wineries. Staying true to his roots, Kim McPherson purchased an aging coca cola bottling plant in Lubbock, and transformed it into a state of the art winery. Recently been named one of the most influential winemakers in the US, it is no wonder that McPherson has been able to produce a vast number of award-winning wines, including the 2012 Dry Rosѐ, Vin Gris. 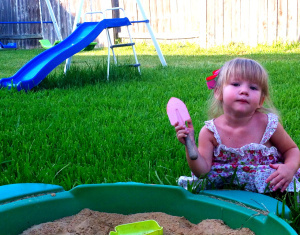 Sitting on the back porch watching Sommbaby slide, swing, and meander through her sandbox, I can smell the slight aromas of strawberry and pomegranate in this bright pink Rosѐ. This vintage is made in Rhone style, and is a blend of Cinsault, Mourvedre, and Grenache. 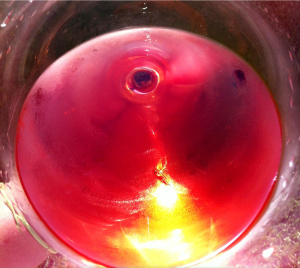 Dry, cool, and crisp, I am not overwhelmed with sweetness as I watch the condensation crawl down the side of my glass. 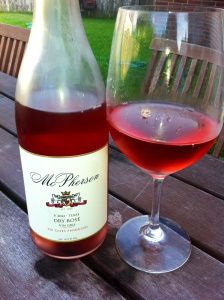 Perfect with almost any type of summer food, I imagine the 2012 McPherson Cellars Dry Rosѐ Vin Gris pairing beautifully with a medley of beet salad with goat cheese, bleu burgers, and crispy barbeque. An ideal wine to please all palates of an evening gathering. Another plus? Readily available at retail, $11. Going Local has never been easier with this Texas wine, and has made my decisions that much easier when shopping at our neighborhood market. Between trying to be an engaged employee, wonderful wife, loving mother, and intermittent housekeeper, finding the brands that help support goals of Leaning In to my life lessens my anxiety. So, while I sit back and ponder with Sommbaby on the faint moon and emerging stars, I sip on this remarkable, restorative pink libation that hones in on my inner needs. Cheers.